If you follow me on here or twitter then you'll have probably heard me talk about a condition called Marfan Syndrome at some point, I've especially been introducing the topic of health a lot more other the past 6 months. 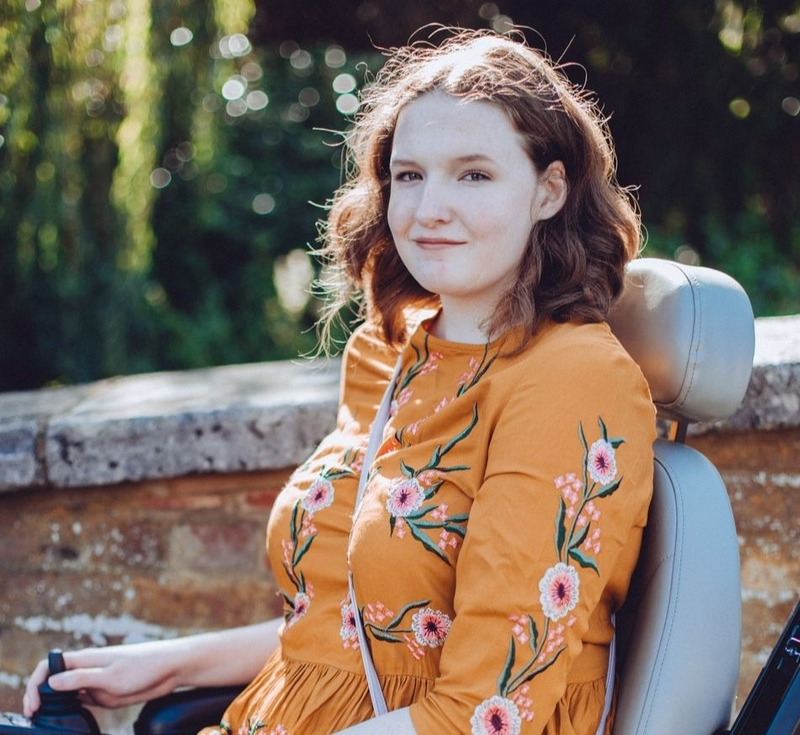 February is Marfan Awareness Month, a whole month dedicated to getting the necessary information out there that could potentially save lives so I'm doing my bit by talking a bit about the basics of it on here! Please do read, even if it is a bit boring, because one day you might spot the signs in someone you know or love and be able to assist them in getting the vital help that they'll need. Even if this helps one person then my job is done. 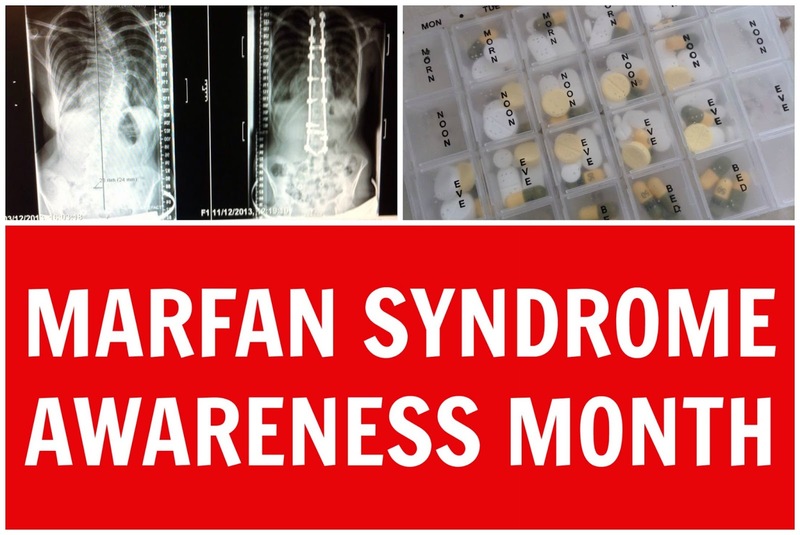 Marfan Syndrome is a genetic condition belonging to a group of connective tissue disorders (you are probably more likely to have heard of EDS, a similar condition). Genetic means that most people with the disorder inherit it from a parent (you have a 50/50 chance of getting it if a parent has it), I inherited it from my mother but it is possible for spontaneous mutation to occur in some cases where you just get the condition. About 1 in 5,000 people have this condition and it is estimated that there are around 10,000-15,000 people in the UK with it but the scary part is that so many people are walking around not knowing they have it. Marfan's affects the connective tissue in your body which is a little bit like a glue, problem is these tissues are found all over your body meaning you can get a lot of problems with this diagnosis. Someone with Marfan Syndrome will typically, but not always, be very tall and slender with particularly long arms and legs. You also may find that a lot of people with it have a chest that either dips in or protrudes out or have a skeletal deformity such as scoliosis or kyphosis. Another sign considered to be important to look out for when searching for a diagnosis is hypermobile joints, although on it's own this does not necessarily mean you have a connective tissue disorder. It is important to note (I don't want to worry anyone!) that just being a bit tall with long legs and bendy joints does not mean you have the condition. The heart problems associated with Marfan's are considered to be the part that is most likely to get you a diagnosis if you or your doctor are suspicious that you may have this condition. In patients with the condition the aorta is able to stretch beyond it's limits due to the faulty connective tissue which can lead to an aneurysm and then aortic dissection which is what a lot of people with Marfan's unfortunately pass away from. It is possible to have the condition and not show signs of this dilation happening but doctors are usually unlikely to proceed with genetic testing without these indicators unfortunately. Eye problems are another thing that you see a lot alongside this condition as well, lens dislocation is common and problems like glaucoma are much more likely to occur and earlier on in life as well. Despite all this though it is definitely a condition that can be managed if you see the right doctors, but that is where the problem is. Most doctors I see don't know much about my condition and aren't sure how to help me or they would rather focus on my heart problems when it is the muscloskeletal issues that limit my life on a daily basis. I'll share my whole Marfan story in a later post but for now I just wanted to share some basic information about it so you know the signs! For more information you can head to the Marfan Trust website.